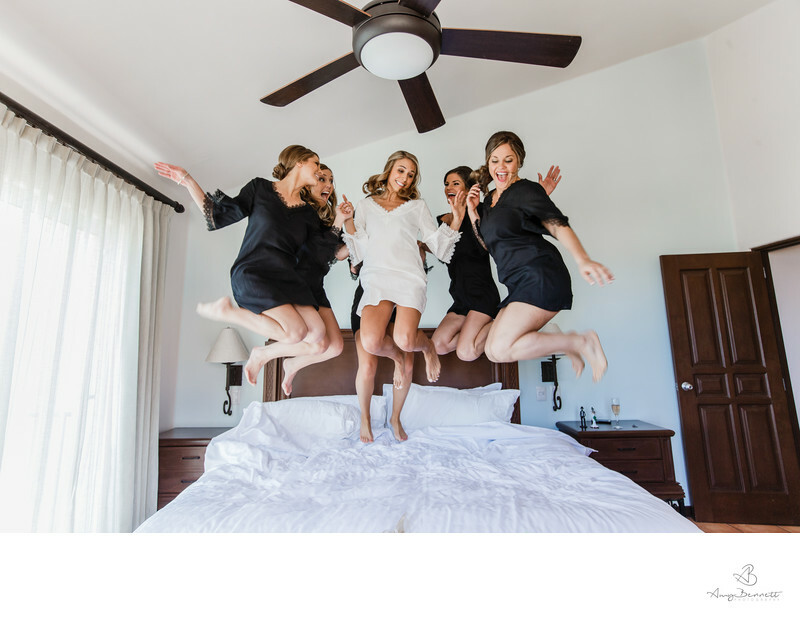 This photo was taken in a hotel room as the bride was getting ready with her bridesmaids. It is always interesting to walk into the getting ready room and see the ladies getting ready. Sometimes they are nervously finishing up their hair and make up and other times its a party scene. You just never know what you are going to walk into. What I am always sure of is the fact that the hotel room is going to be a a bit of a mess. I normally have to spend about 10 to 20 minutes cleaning up the room before I can get down to the the business of taking wedding photographs. Vermont Weddings season is always an exciting time to be in this beautiful state. Whether you are attending a lakeside wedding, a mountain wedding, a rustic barn wedding, a tented wedding, or a luxury resort, you are lucky to be in Vermont. As a Vermont Wedding Photographer, I can attest to the fact that you won't soon forget your experience in Vermont! The getting-ready part before the ceremony is both stressful and exciting for everyone, especially for the happy couple. Many anxious thoughts can go through a bride's head during this time of the wedding day. So, if you are a bridesmaid, mother, sister or friend who is helping the bride prepare for her big day, here are a few ideas of what you could do to help make things run smoothly. Often, a Vermont bride wants to handle all the tasks on her own. That just isn't a great idea as there are SO many things to do and time is of the essence. Make a list of pending jobs and assign them to the people in the wedding party. Help the bride relax. Convince her to enjoy the day and live in the moment. The day goes by so fast and furious. The best thing you can do for the bride is to help her finish all of her the outstanding responsibilities. Vermont weddings can be expensive. Some costs can be reduced by following DIY tips that you can find on Pinterest or Etsy. From décor, flowers, invitations to makeup, put your creativity to use. Vermont weddings are an excellent example of a good time to think out of the box. By doing things together, you also get to enjoy quality time with the bride! It's natural for the bride to get jitters before the big day. Once everything is settled and put into place, arrange to have some quality time with the bride. Prepare a bubble bath with essential oils, such as lavender, for the bride as the aroma helps uplift the senses and soothe the nerves. Schedule a massage or a yoga class to take together. Let the bride choose what helps her relax. Convince her to sleep well. These tips can help her remain calm on her big day. On the wedding day, the bride might feel anxious about her makeup, dress, wedding vows, speeches. Help her adjust the dress so that she's doesn't trip while walking. Give her ideas for poses to snap the perfect portrait. Every few hours, let her know that she is the prettiest bride. Make her feel good. Make her smile so that she could feel relaxed. Make her feel less awkward. Finally, make sure that the bride has eaten enough food.